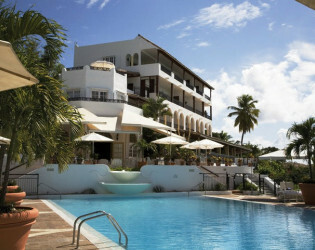 Belmond La Samanna is a unique luxury resort and boutique hotel situated on the beach of Baie Longue. Lush tropical garden pathways and beautiful archways surround the Mediterranean-style architecture. A highlight of each guest room is a walk-out patio or covered terrace overlooking the beach and sea. 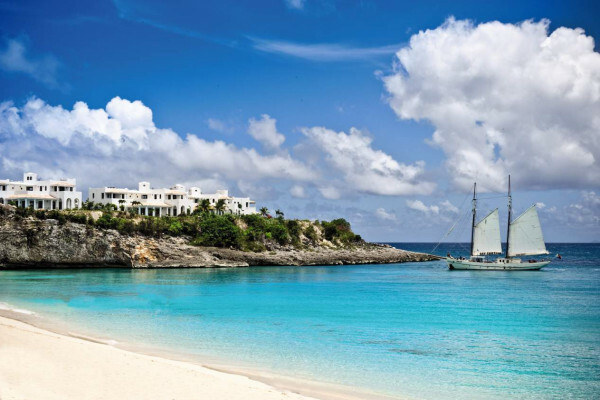 Staying with us turns a trip to St. Martin into an unforgettably unique escape. 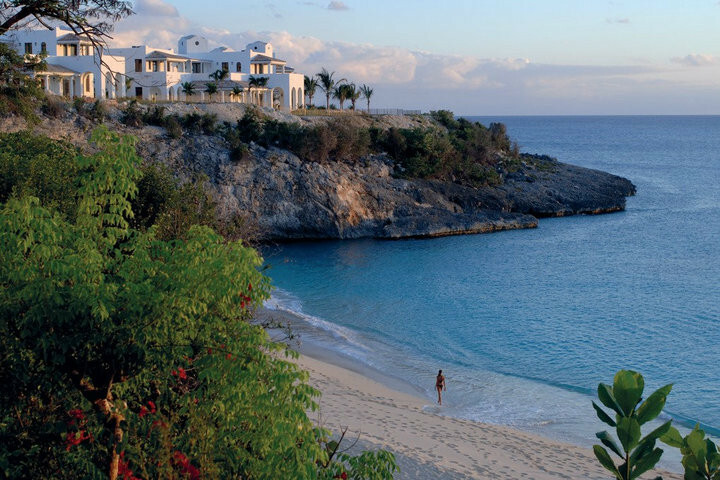 Belmond La Samanna has a total of 83 rooms and four villas, including 56 Suites and 27 Deluxe Ocean View rooms, nearly all boasting sweeping views of the Caribbean Sea. 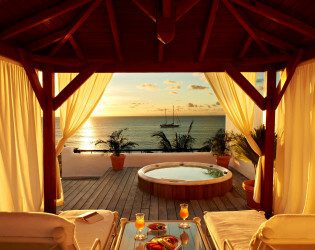 Includes a king-size bed or twin beds and a private balcony or terrace. 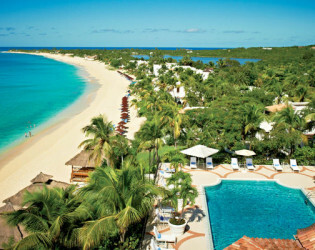 Can connect to a One-Bedroom Beachfront Suite, One-Bedroom Ocean View Suite, Orleans Suite or Baie Longue Suite. Accommodates a maximum of two people. 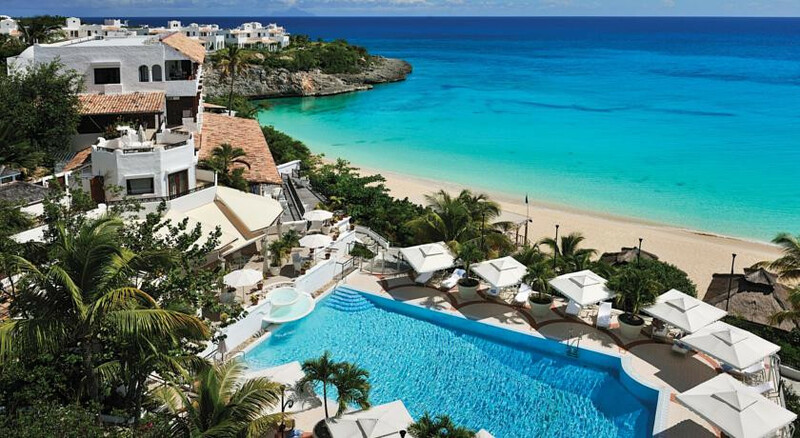 These suites offer beautiful views of the Caribbean Sea. 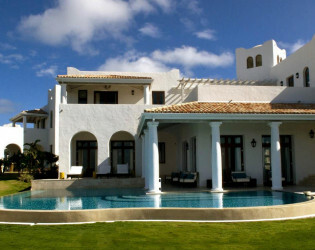 Features include wet-rooms with rain showerheads, separate bathtubs, elegant marble floors, kitchens and patio areas. Accommodates a maximum of three people. 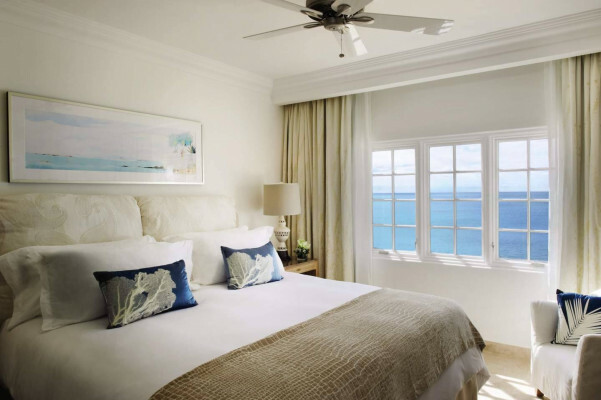 One-Bedroom Suites offer stunning ocean views and a king-size bed. 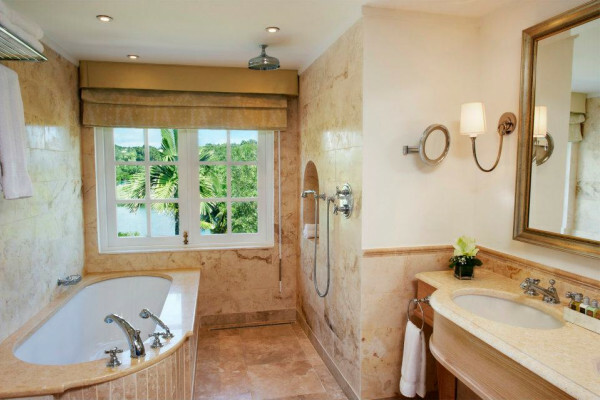 Suites have a separate living room, oversized bathrooms with dual vanities, separate shower and bathtub, white and sand-colored marble floors and signature open wardrobes. Accommodates a maximum of three people. 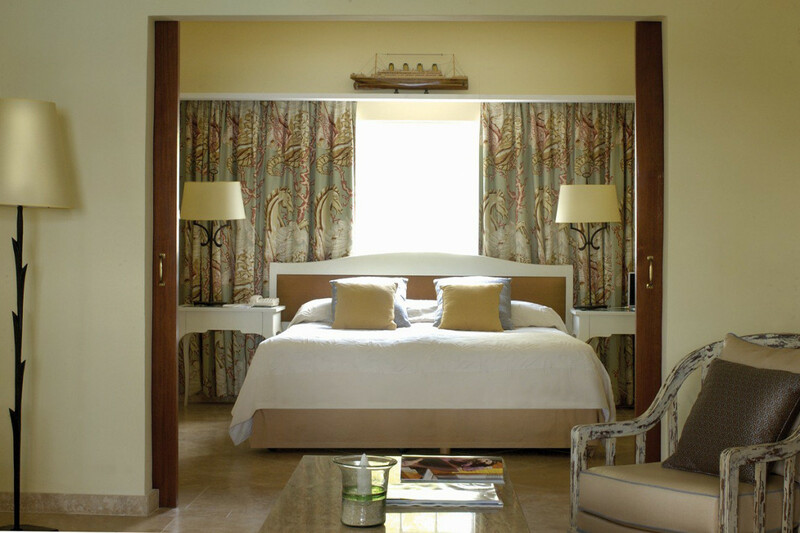 Our Two-Bedroom Suites feature elegant master bedrooms designed in a tropical or French Provençal style. Generous bathrooms have modern dual vanities and deep-soaking bathtubs and are finished with mahogany accents. Accommodates a maximum of five people. 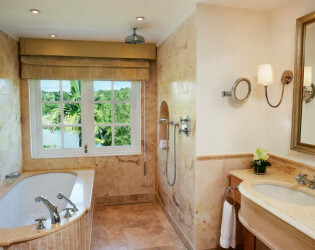 Each Suite has its own style and personality. 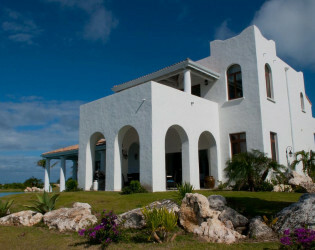 They feature a luxurious bedroom and a private terrace from which to enjoy views of the Baie Longue. 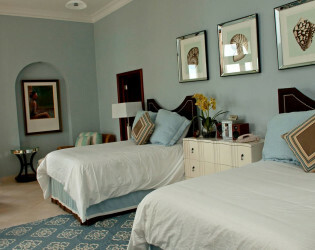 either a king-size bed or twin beds and an en-suite bathroom. 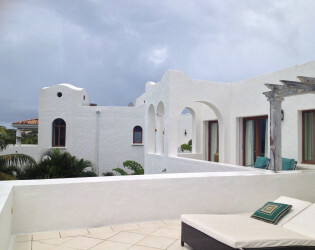 The master bedroom also features a private patio with outdoor living and dining area. Sam, Belmond La Samanna parrot, arrived at Belmond La Samanna after a storm and never left! 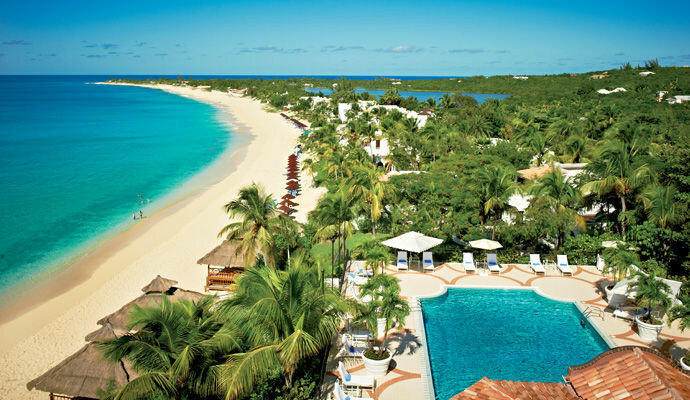 Situated across 55 acres of pristine sand and tropical garden, Belmond La Samanna is considered one of the best St. Martin beach resorts. It is just 15 minutes from Marigot, the capital of French St. Martin in the French West Indies, and a short drive from the fabulous restaurants of Grand Case. The resort’s crescent-shaped beach on Baie Longue is recognized as one of the finest and most secluded in the world. 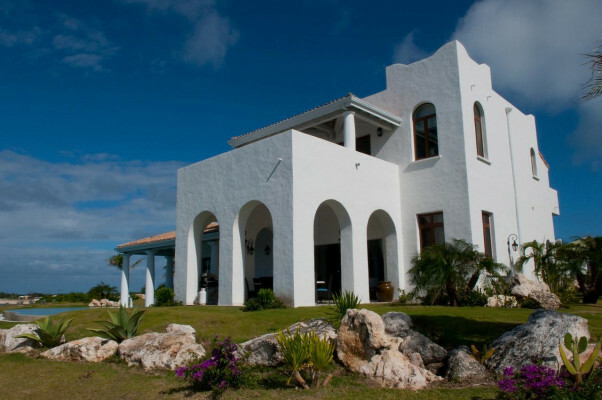 No other hotels share Baie Longue, which means our guests enjoy complete privacy and tranquility. Flourishing under the art direction of ‘Pastel-chic’ is the resort’s 73 rooms and public spaces, which have been given a refresh by interior design firm MuzaLab, London. Pastel blues, greens, pinks and peaches are inspired by the natural tones of the Caribbean Sea, shells and corals and are used alongside intricate and colourful botanical prints on fabrics, artworks, lighting and mirrors. 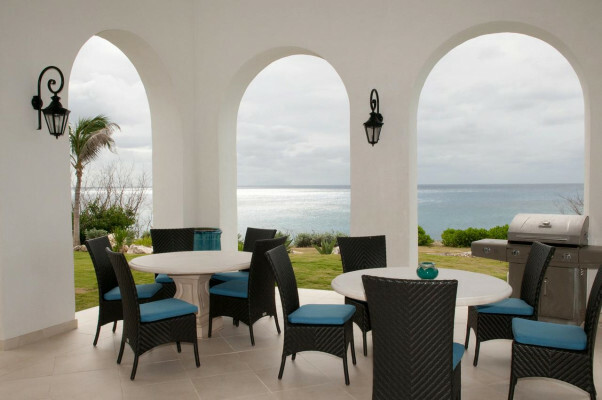 As guests explore the newly invigorated Baie Longue Bar, Trellis restaurant and main building, these playful colour palettes evoke a sense of place and allude to French romance. 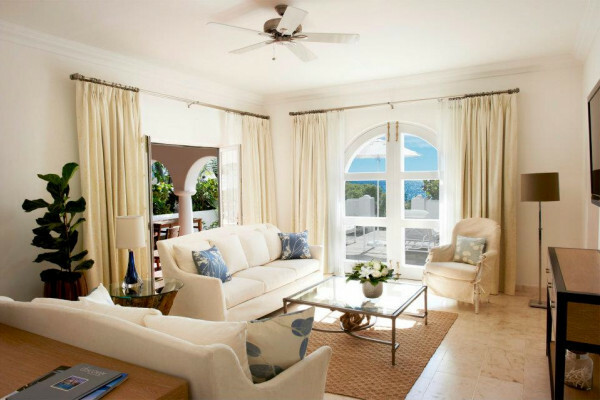 The Villas gardens feature 270-degree, awe-inspiring views of Baie Longue and the Caribbean Sea. Gardens can be used as a private venue and can accommodate up to 180 guests for a sit down dinner. 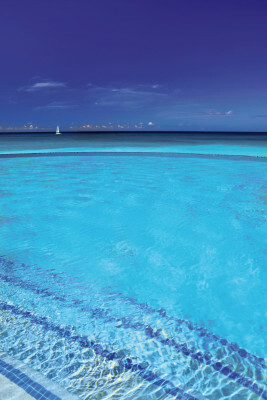 Live music can also be arranged around one of the infinity pools for an unforgettable evening. An open-air location, adjacent to Interlude with views of Baie Longue and easy access to the beach, the pool is an ideal location for a plated or buffet dinner. Open for breakfast and dinner, Interlude is an idyllic retreat for casual alfresco dining. By night, the glowing sky provides a serene backdrop for a memorable dinner beneath the stars. Perfect for a plated or a buffet dinner. 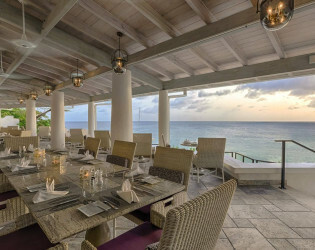 Trellis offers the ultimate in-island fine dining and is ideal for a plated dinner for your group. 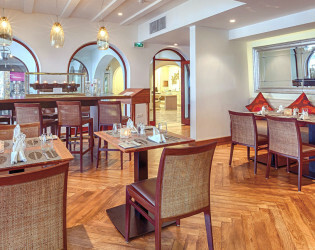 They’ll enjoy beautifully crafted, traditional French cuisine in an elegant bistro setting overlooking Baie Longue. 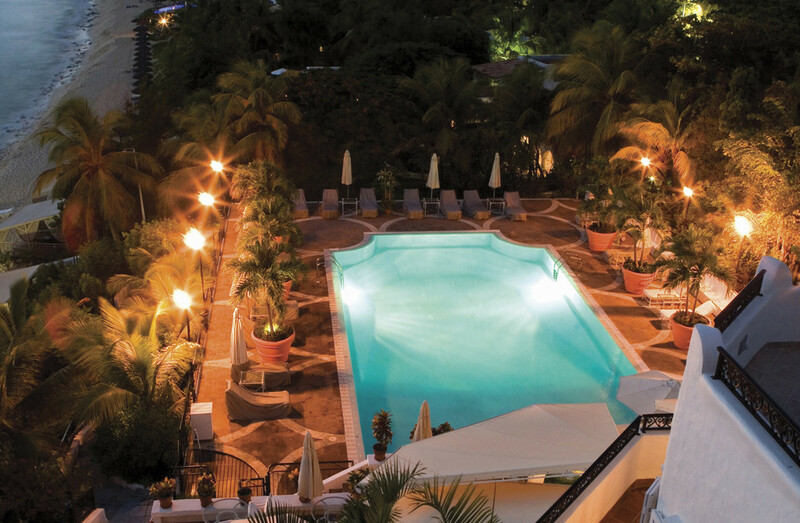 Indulgences include a bottle of Grand Cru from the acclaimed cellar, which boasts one of the most extensive collections in the Caribbean. 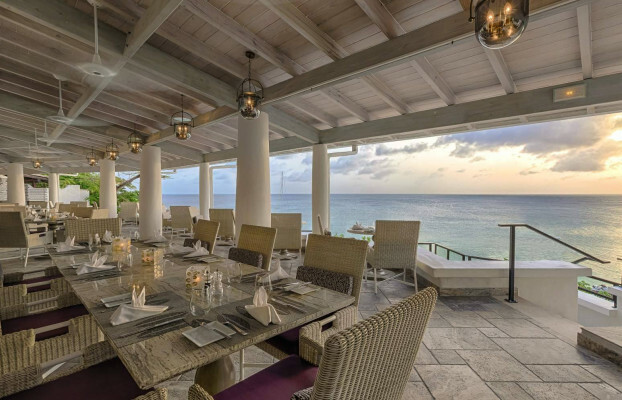 Contributing to St Martin’s reputation as the Caribbean’s culinary capital - Belmond La Samanna reopens its sophisticated beachfront French restaurant Trellis - where dining is an occasion to dress up and remember; as the chefs serve up culinary masterpieces with European finesse. The historic La Cave Wine Cellar is the largest private wine cellar in the Caribbean and offers a memorable dining and fine wine pairing experience curated by the Head Chef. 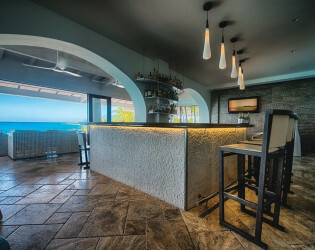 The resort’s new look Beach Bar is a glamorous nightspot by the water’s edge for a Champagne or cosmopolitan cocktail as the sun goes down. Playful swings, monochrome lounge seating, and dramatic chandeliers invite a cause for celebration. Whether you’re starting your evening with an aperitif or winding down after dinner, Baie Longue Bar is the perfect place to absorb the island joie de vivre. 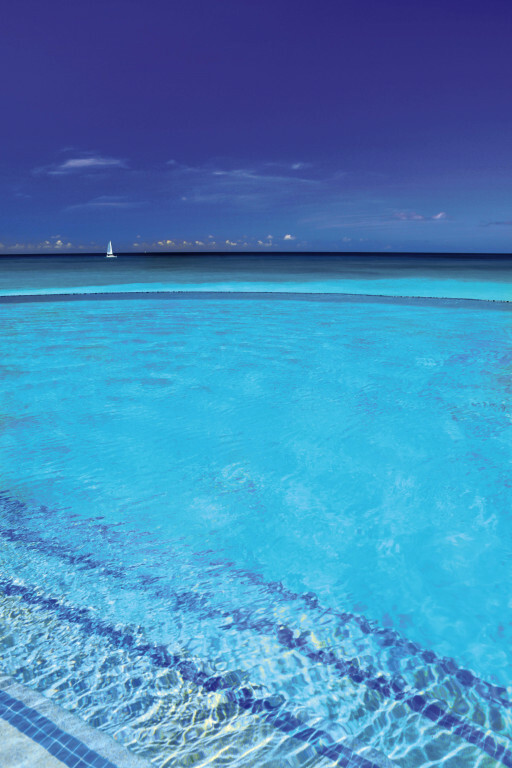 Relax with a signature cocktail while looking out over the turquoise horizon. Constantly ranked among the region’s top ten hotel retreats, it is a garden paradise in which to enjoy an al fresco massage, or lie in a hammock, lulled by the waves. 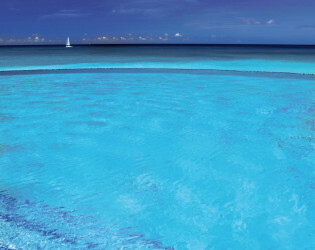 View of the resort from the pool. 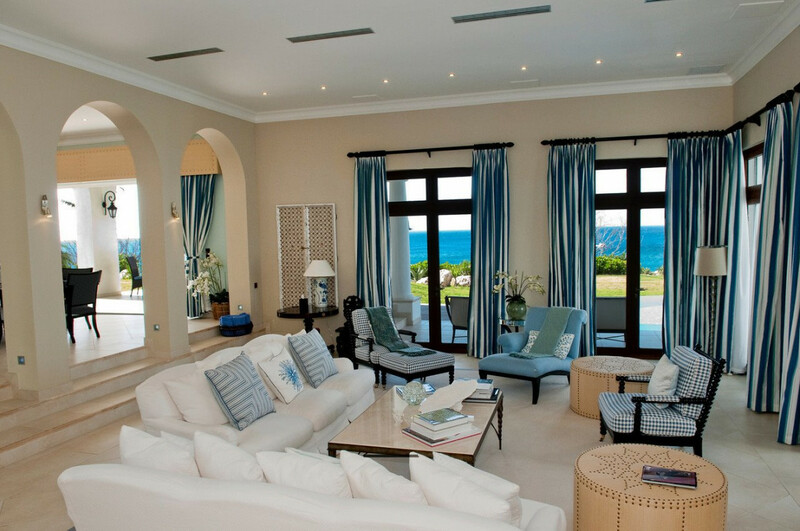 Renovated interiors offer a clean and luxurious space. 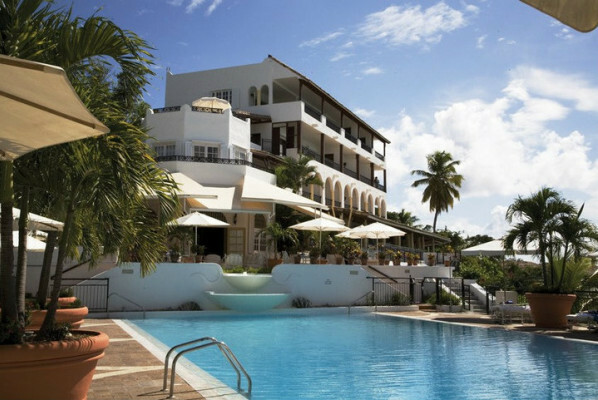 Stay close to your loved ones at this indulgent St. Martin hotel. Our Three-Bedroom Cottages feature ample space, luxuriously furnished living rooms and spectacular views of the Caribbean Sea. Each of our three- or four-bedroom Villas is palatial yet comfortable. Master bedrooms have generous private terraces overlooking the Caribbean Sea, and the fully equipped kitchens are perfectly suited to entertaining. 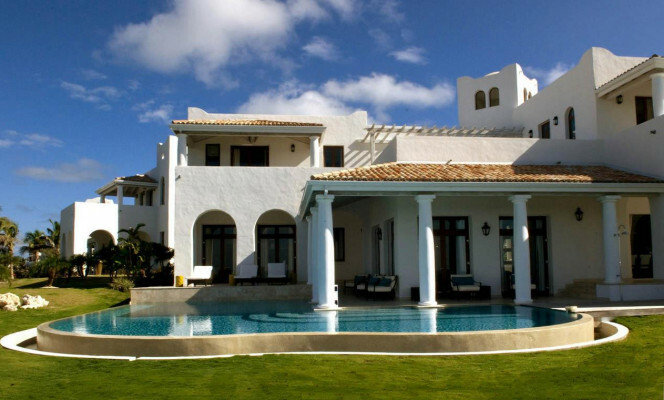 Each of our three- or four-bedroom #Villas is palatial yet comfortable. 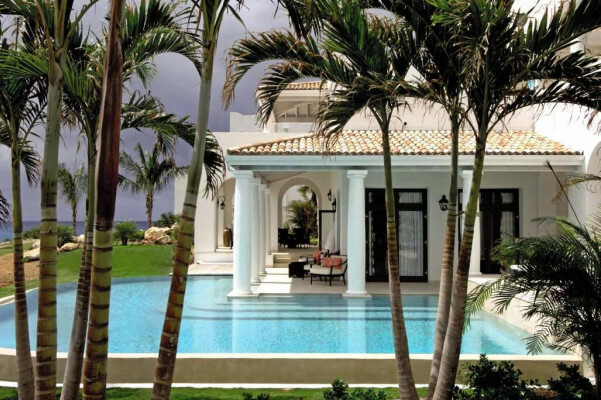 Master bedrooms have generous private terraces overlooking the Caribbean Sea, and the fully equipped kitchens are perfectly suited to entertaining. 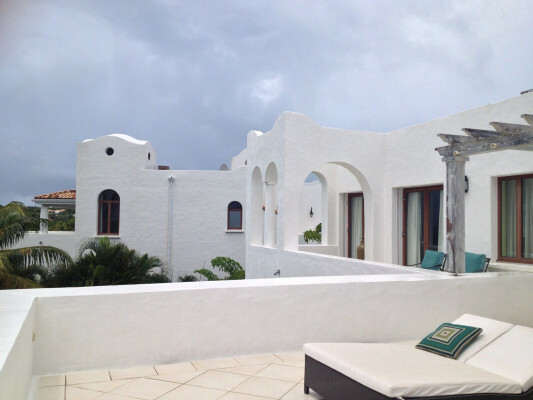 Architectural details include floor-to-ceiling windows, graceful archways, teak accents and Italian marble flooring. 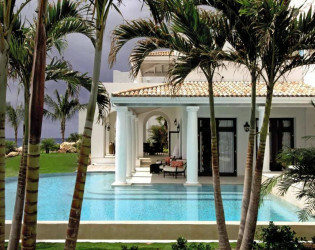 Some of the finest accommodation in St. Martin, Villas at Belmond La Samanna are palatial yet comfortable and offer three- or four-bedrooms. 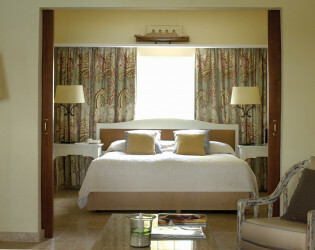 Feel at home in our luxurious suites. 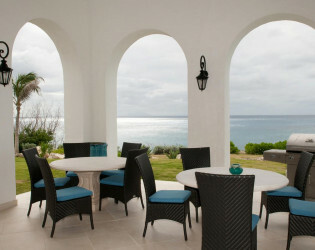 Enjoy breakfast on the patio with the most beautiful ocean view. 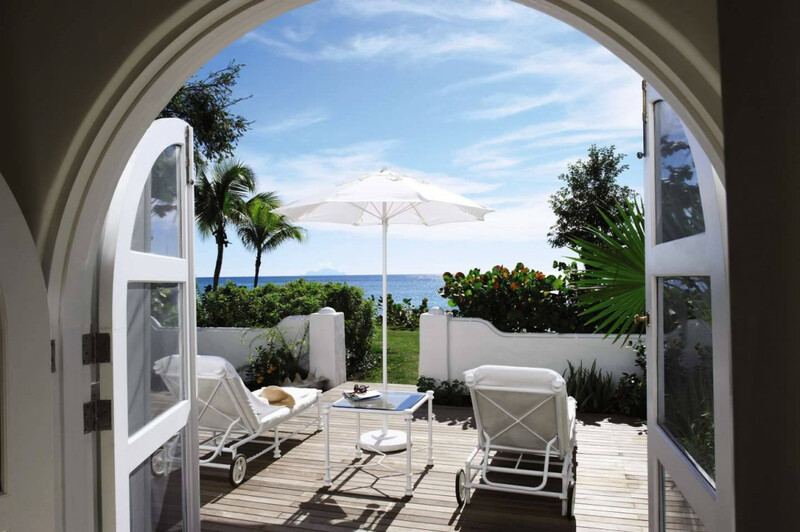 Privacy and exclusivity with family and friendsSome of the finest accommodation in St. Martin, Villas at Belmond La Samanna are palatial yet comfortable. Master bedrooms have panoramic terraces, while fully-equipped kitchens are ideal for entertaining. Wrapped around the front of each Villa is an oversized terrace—the perfect vantage point from which to enjoy the spectacular sea views. 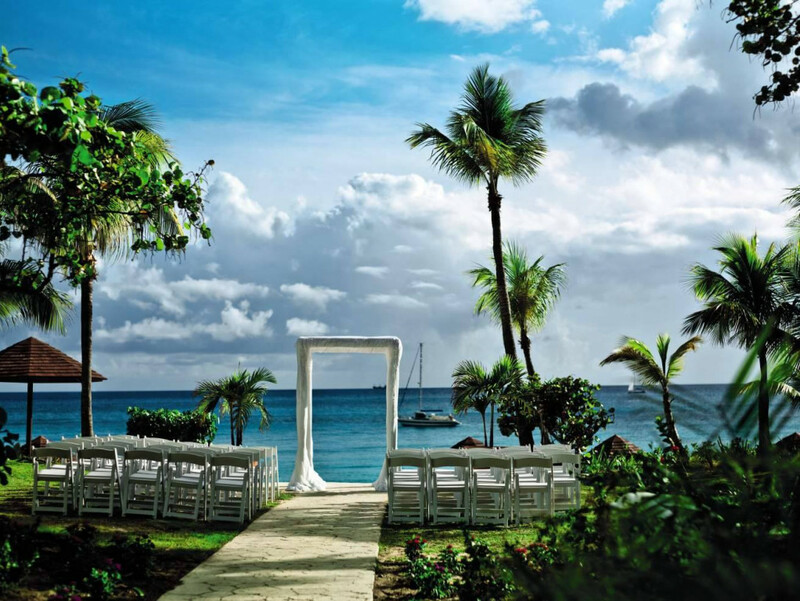 Overlooking the most exclusive stretch of sand in St. Martin, it is difficult to picture a more romantic setting for a Caribbean destination wedding than Belmond La Samanna. 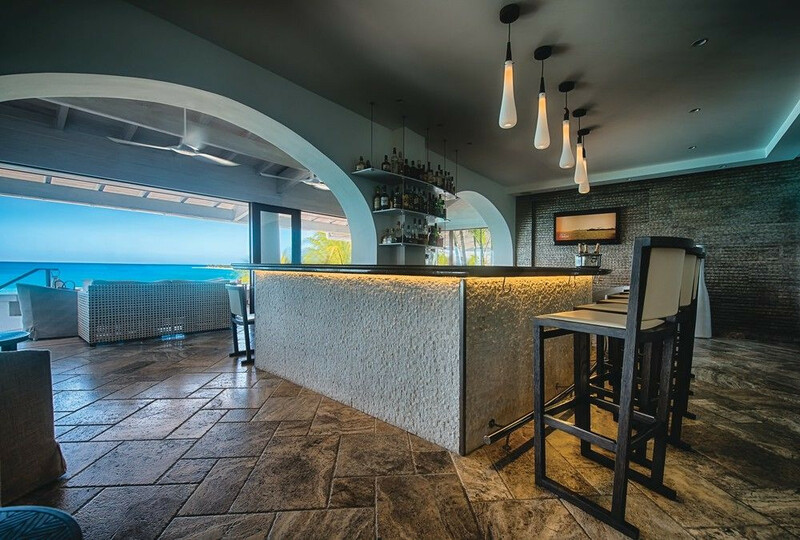 Trellis offers the ultimate in island fine dining. 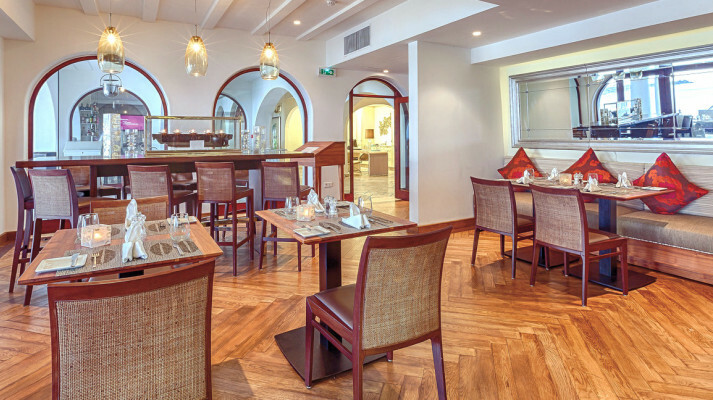 Enjoy beautifully crafted, traditional French cuisine in an elegant bistro setting. 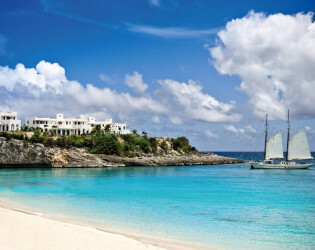 You'll also discover a tempting display of local catch and fresh lobster. 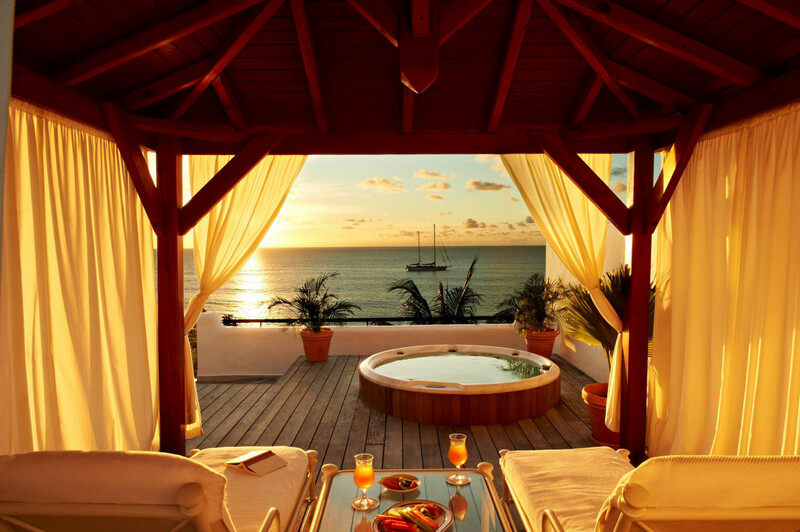 Take a stroll by the beach and enjoy the beautiful sunset. 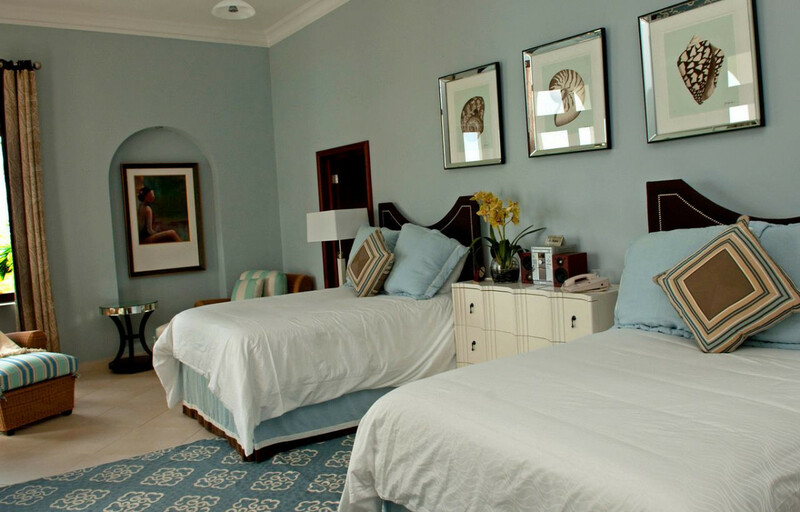 Our beautiful One-Bedroom Beachfront Suites are located just steps away from talcum-white sands. 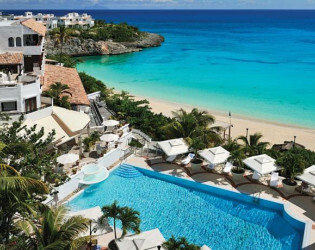 Each has a private balcony or patio offering breathtaking views of the ocean and can comfortably accommodate families with one child. 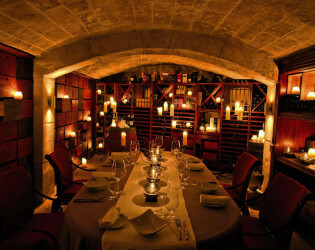 La Cave offers a unique dining experience in an atmospheric wine cellar. 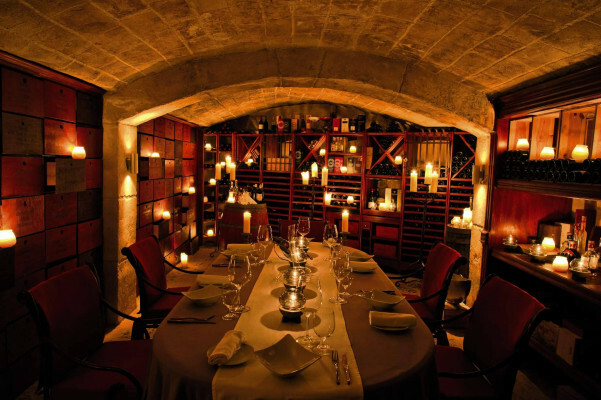 Curate your own tasting menu with an expert chef, complemented by the fine wines that line the cellar. 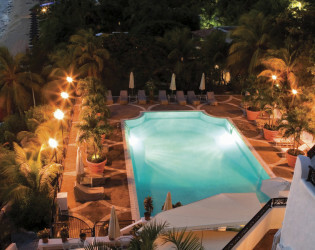 Evening view of the pool.